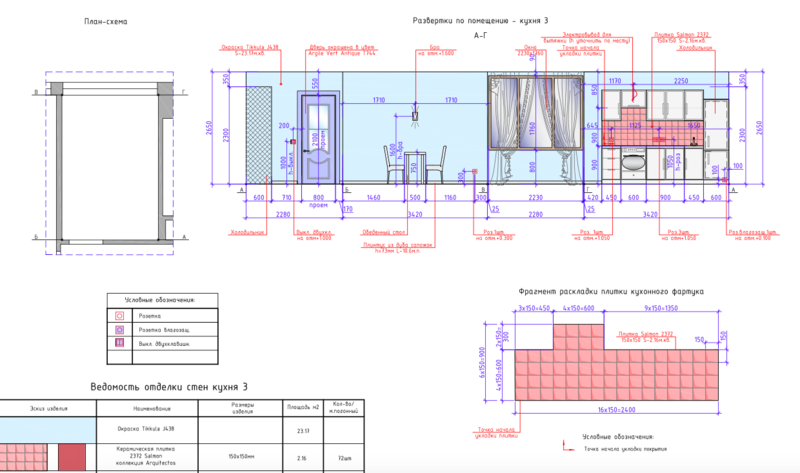 In one of our previous posts, we talked about the new interior design project that we work on: a two-bedroom apartment in Moscow on Novy Arbat. 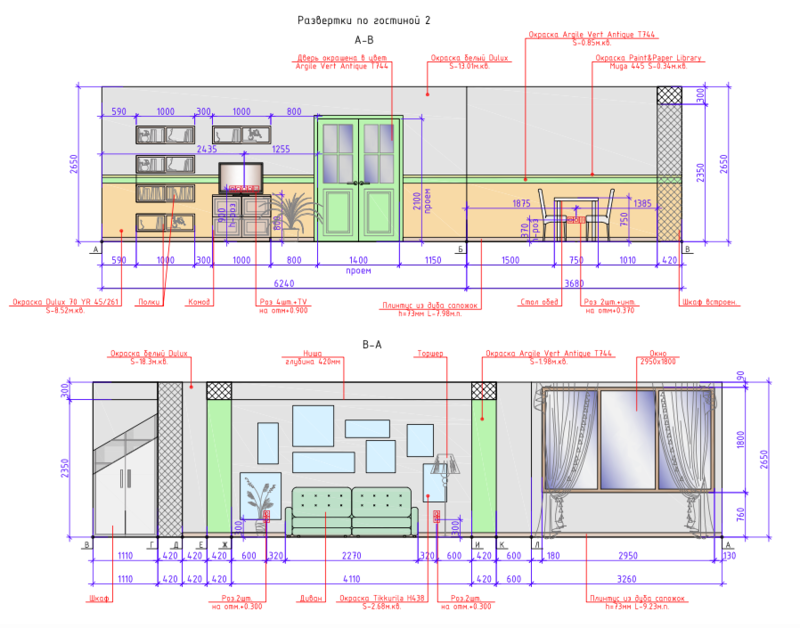 Today we will talk about the next stage – the preparation of technical drawings. 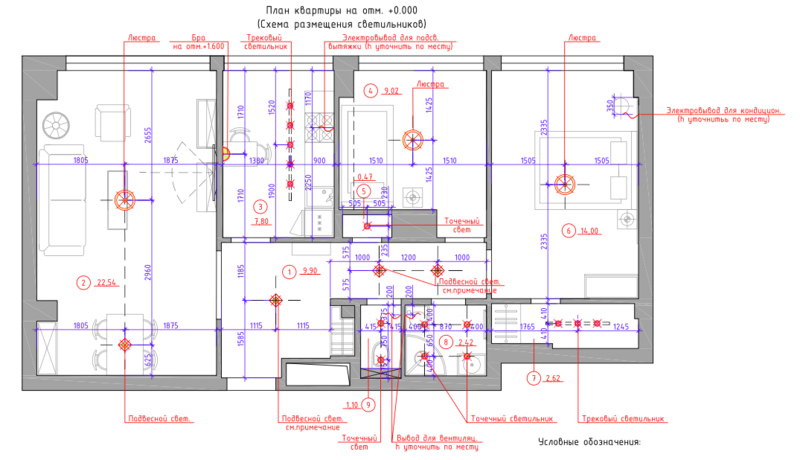 Plan of the sockets and switches. According to existing standards, sockets are installed at a height of 300-350 mm from the floor, and switches at the height of 900 mm from the floor. In this project, we slightly raised the height of the switches due to aesthetic reasons so that they fell on the decorative curb on the walls. 2. 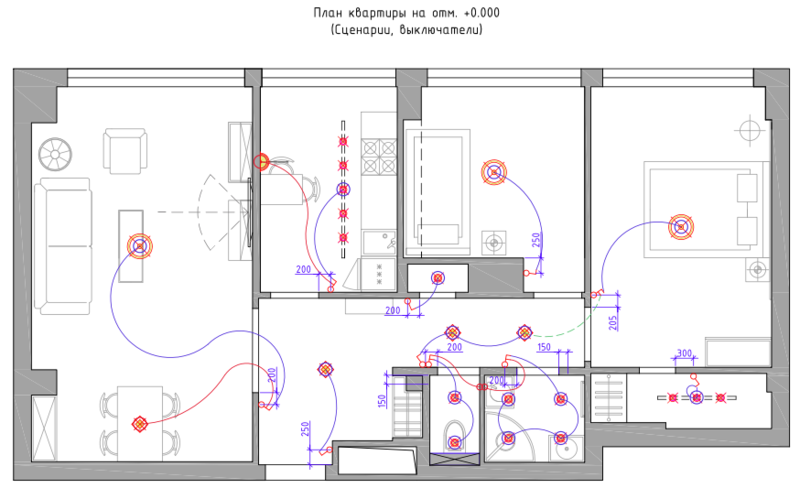 The next important drawing in the design project documentation is the lighting plan. In each room it is necessary to specify the exact location of the lighting fixture and also its type: recessed spotlight, pendant light, wall light, etc. 3. The lighting circuit diagram indicates how the lights and switches are connected together. 5. For the kitchen, the elevations of the walls are always compulsory, especially the tile layout for the backsplash. In order for the drawings to be ready for implementation, the work on them is carried out in parallel with the selection of all the finishing materials, lamps, and furniture, so they display the real objects that will be involved in the project. The elevations of the bathroom show the layout of the tiling, the painting of the walls, as well as the location of the plumbing fixtures. When laying out the tiles, we take into account which parts of the walls will be most visible.